To unwind at a romantic place like Lonavala and to enjoy your holiday completely, it is imperative to choose your accommodation wisely. Ideal to visit in the rainy reason, Lonavala is renowned for its serene environment and heart-warming views. This small hill station near Mumbai is popular among honeymooners and also among those who are looking to get away from the hustle bustle of city life. This little town provides a good break to all. It is loved by travelling enthusiast due to its impeccable beauty and plush surroundings. 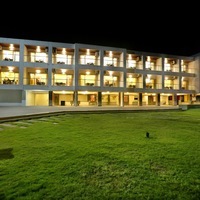 There are many 4-star hotels in Lonavala that offer the world-class amenities to make your holiday experience top-notch. 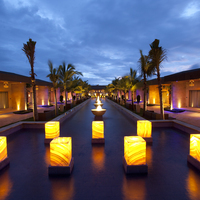 A luxurious stay at a 4-star hotel will add to your vacation and make it an unforgettable experience. This spectacular hill station must be explored well and will fill up your Lonavala diaries with unforgettable memories. As Lonavala witnesses huge footfalls from visitors every year, it offers accommodation options to suit all types of travellers. 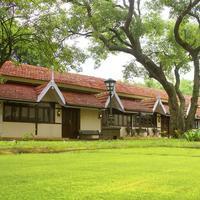 Choosing an appropriate stay can be confusing since Lonavala has many 3-star and 4-star hotels. 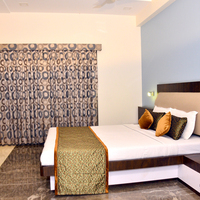 If you are looking for a decent stay in Lonavala, book a lavish 4-star hotel to make your stay a brilliant affair. Cleartrip has a number of different options to choose from and can help you in booking the right accommodation for yourself. The incredible hospitality offered by the 4-star hotels in Lonavala with their contemporary interiors is worth exploring. Whether you want to choose a hotel because of its views or because of its location, the one thing that you should surely consider is the facilities that the hotel offers. 4-star hotels are known for their lovely ambience and the splendid experience they offer. Amenities like Gym, fitness centre, massage centre, spa and caf are offered by many 4-star hotels. The in-house restaurants deliver an exceptional culinary experience to their guests. Popular 4-star hotels in Lonavala remain booked throughout the year as everybody wants to experience the marvellous hospitality they offer. No one must miss the splendour of these hotels along with the additional lucrative perks like complimentary breakfast. Many hotels may also arrange a local guide to make your sightseeing experiences more interesting. You can also ask for car rental so that you can explore the city at your convenience. The ambience and the interiors of these 4-star hotels are extremely lavish. To make you feel at home, rooms are equipped with all the necessary facilities like AC, TV, coffee maker, en-suite bathrooms, complimentary toiletries and 24-hour room service. These 4-star hotels also offer many recreational facilities, such as a game room for kids and adults both. They have a lot of fun-filled activities to make your stay more fun. 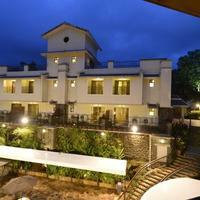 Most of the 4-star hotels in Lonavala are located in Khopoli, Valavan Village, Tungarli and Mumbai Pune Expressway. Book your Hotel Now to Avoid Last Minute Rush! 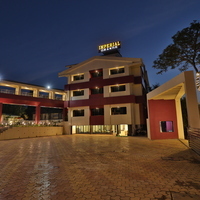 As the 4-star hotels in Lonavala are packed throughout the year, it is recommended to book your accommodation in advance so that you dont need to cancel your trip due to no hotel availability. 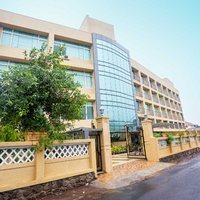 You can check our travel site to get an exhaustive list of 4-star hotels in Lonavala along with details of the amenities they offer and the pricing. 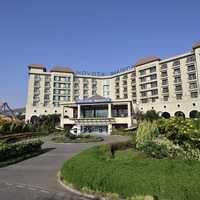 Novotel Imagica Khopoli-An AccorHotels Brand and Krisna All Suite Stay are two premier hotels in this category, which offer an exclusive stay in a lush green environment with gorgeous mountain views. To grab some of the exciting deals and exclusive discounts, you must book your hotel stay via Cleartrip.com. So, what are you waiting for? 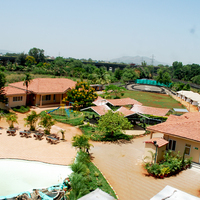 Plan a wonderful vacation to Lonavala today and come back with some fantastic memories.